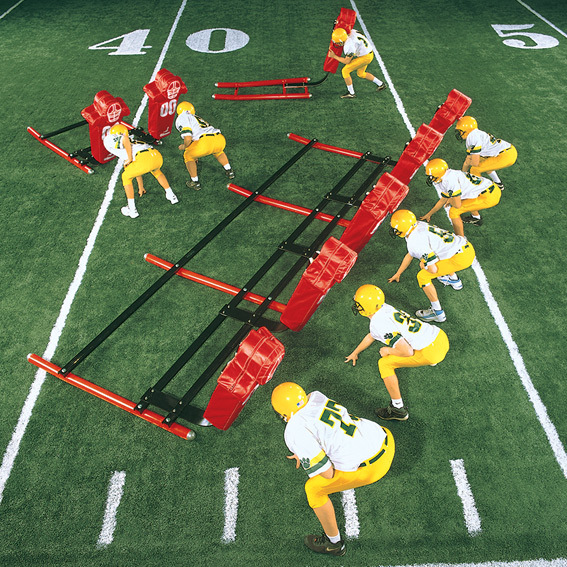 The SUB-VARSITY SLED is designed for junior high and middle school programs where the weight range is 120 to 175 lbs and the age range is 13 to 15 years old. Scaled down in size and weight to fit the needs of younger and lighter players. Outfitted with 64" springs that offer the correct pad level for junior high players. "The coaching point is to keep your head up, neck bulled, eyes to the sky and knees bent to create a power-producing angle between your hips and ankles!"